I just got some aftermarket daytime running lights fitted a few days ago on my Mazda 3 and I thought I would just show them. What I really like about these lights is that they fit perfectly in the gaps either side of the bumper and they look like they should be there! Hi Carl, they look just the job. Could I just advise you that you need to use the "Direct" link from Photobucket then Click on the Preview button then highlight the link and click on the picture icon. 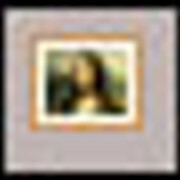 This will put the IMG brackets around the link. Did you get them from happy pit stop on eBay? Or from aliexpess? Have a look at happypitstop eBay they do some nice rear smoked bumper lights that replace your reflectors. Get see pics in the dark. Never really thought they would look right on a 3, but they actually look pretty good! Might even get some myself. I've either seen your car before or seen this done before, did look nice out and about. It does look excellent, NeilP has a nice set of DRL's for sale of i wasn't mid way they my bike project id snap them up. 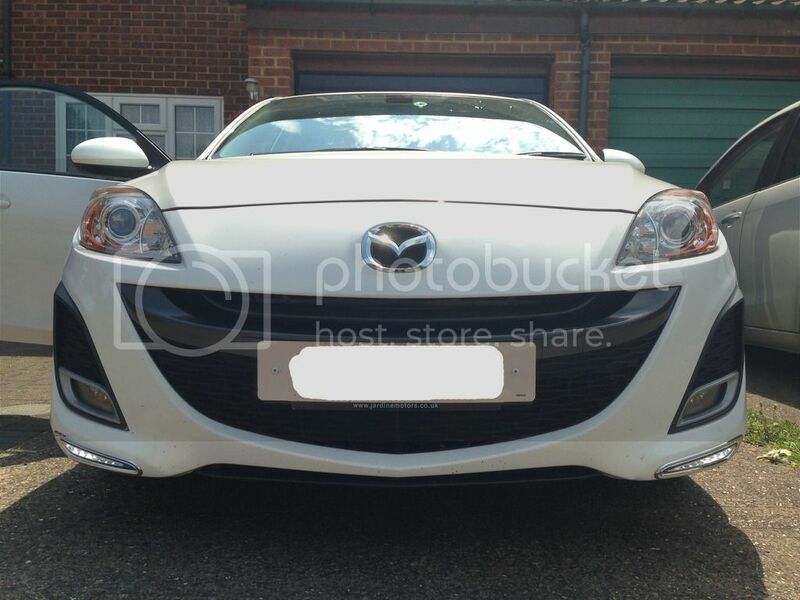 Hi Carl Most interested in this project, a few questions which I would appreciate you reply, as most interested in doing this on my recently aquired Mazda 2013 Venture model. I have already done the boot light modification to the boot as I have shown elsewhere. 1. Where did you get these from ? 2. Did you fit them yourself or done by dealer ? 3. Can you say something more about the wiring into the car system? Mazda 3 - Venture 1.6 Diesel Hatchback. Only £30 road tax my old 2.0ltr sport cost £180!! hi carl i would love to know where you got these from and how they are wired , i must say they do look good. There are a few sellers with these type of drl's on eBay also try Alexpress it's the equivalent to eBay just the Far East/American version, just search for "Mazda 3 daytime running lights" should be on there too. As for fitting, I didn't fit them myself because its not exactly easy (especially if your like me and don't have a clue what your doing) Instead I got them professionally fitted by a local auto-electrician for £100. For the physical fitting, you have to remove the under tray covering both sides and the blank plastic. Then the DRL's simply come apart into two and clamp together to hold them in. I must warn you at this point that removing the blank plastic also affects the fog light cover, as it turns out the mount for the blank holds this in. To get around this, I just cut the mount on the plastic off and installed it as before to hold the fog light cover. For the wiring, the DRL's do come with a unit, but it did require some work. Basically, you install the unit directly off the battery to power it. But then the guy had to install a relay by wiring up to the ignition fuse in the fuse box so that the lights come on when the ignition is switched on and vice a versa and also so that the DRL's turn off with the sidelights/headlights. Very first post in these here forums. The small black bits at that part of the bumper, did they pop it or need cut it out?